A passport is very important if you desire to make a trip to other countries. Apart from this, it is also an important document that will provide support to the claim of identity and citizenship. The number of people, opting for the passports has increased in the recent times. The situation is the same in the Union Territory of Puducherry. The passport application will not be processed without the police verification. For streamlining this process, the government of the UT has launched a special mobile application and it has been named the Puducherry Mobile App Scheme. 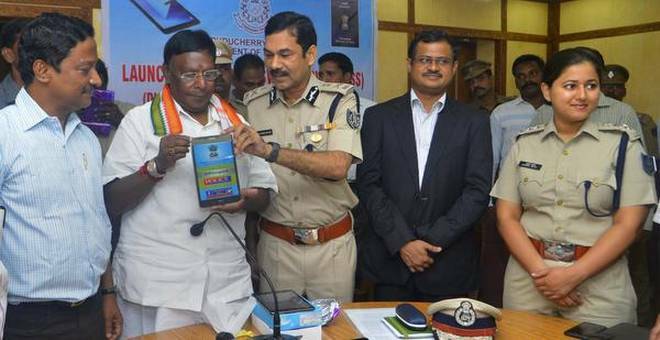 The Chief Minister of Puducherry, V Narayanasamy made the official announcement of the special mobile app scheme on the September, 2017. During the launch of the scheme, S K Gautam, the Director General of Police and Manoj Parida, the Chief Secretary to government were also present with the CM. The official website of the scheme will be launched soon. The details will be made available on the official website of the government of Puducherry, https://www.py.gov.in/. To get the benefits of the scheme, the user will have to download the app on his/her smart phone. Once the download is complete, the user will have to click on the “Install” button to activate the app. When the passport application has been submitted via the application, the police officers, in charge of verifying the form will be able to take a look at the papers easily. Then they can attach the report and it can be accessed by the field verification officers. Getting the papers via digital media makes the process easy and full proof as well. The digital papers give the application an enhanced authenticity. As the app has just been launched, the details are not clear. The government will soon update the details related with the scheme on the official webpage. Can be downloaded easily – The state government has made sure that all people can get the advantage of the scheme. Thus, the mobile app can be downloaded easily. It will run on the Android OS. Free of cost download – The app has been launched by the joint venture of the state government and the police department. Thus, the government will charge anything to the user for downloading the application. Assisting the police department – With more than 5000 applications coming in on a monthly basis, the pressure on the police verification team is mounting. With the assistance of the application, the police will get relief from the pressure of doing all verifications manually. Speedy operations – With the assistance of the application, the user can get the passport application verified digitally. This means that there is no need to tackle the task manually. It will make it easy for the police agents to verify more applications in less time. Use of digital options – When the passport application is submitted via the application, the verification officers on field level will have no issues in getting hold of the police verification officer’s report in a digital format. Paperless process – With the old way of tackling the verification process, a lot of paper work was required. With the assistance of the app, the problem of paper work can be eliminated completely. Once the app has been launched, both the police department and the passport verification department will find it easy to get check the applications. As the process speeds up, more people will be able to get their passports easily.